Winter is about keeping warm and looking your best in a winter jacket that you love because when you’re warm and protected from the harsh winter conditions, it’s easy to enjoy even the stormiest days. 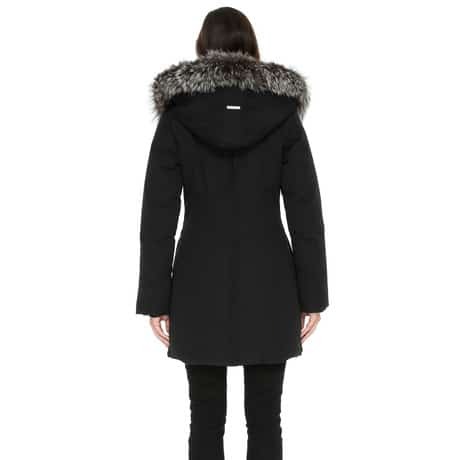 With a stylish down winter coat like the SOIA & KYO Talla Down Coat, you’re sure to be warm and stylish this season. Exclusively available at Altitude Sports, the SOIA & KYO Talla Down Coat may not be a collaboration piece but it is an exclusive SOIA & KYO product with Altitude Sports. 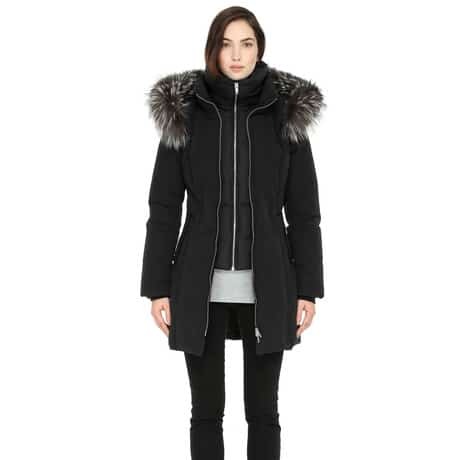 This means that we are the only retailer in Canada to carry this chic, winter coat. The Talla Down Coat is insulated with down and offers aesthetically pleasing features giving it a chic and feminine look perfect for the urban fashionista. A mid-length, slim fit makes this jacket perfect for any outfit pairing whether you’re wearing a dress or pants. Long enough to cover your bottom, you’ll be warm when the winter winds pick up and can enjoy a spot on a park bench without sitting directly on the cold seat. With a water-repellent outer, you can be sure to stay warm and dry when the snowflakes turn to slush so if you’ve forgotten an umbrella, there’s no need to run for cover. 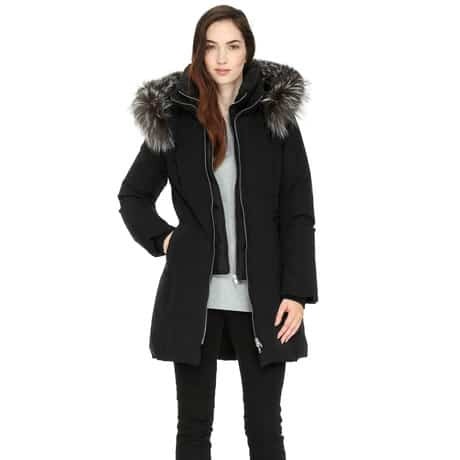 Leather trims on the pockets paired with the fox fur trimmed hood adds a chic look to the classy, winter coat. The features on this coat add style but don’t over-do it making it a versatile winter jacket that can be both chic and casual when needed. For the painfully cold days, you’ll be thankful for the added warmth from the inner bib inside the jacket. 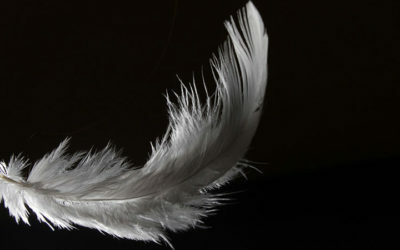 This can substitute as an additional layer of insulation but can also be removed when it isn’t needed. Thanks to the inner bib and the thumb holes in the jacket cuff, you’re sure to lock the warm heat in and keep the cold winds out. Don’t let cold winter weather keep you locked inside. 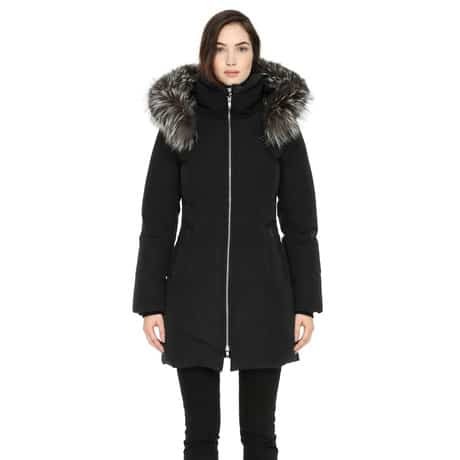 Stay warm in the SOIA & KYO Talla Down Coat this winter season.